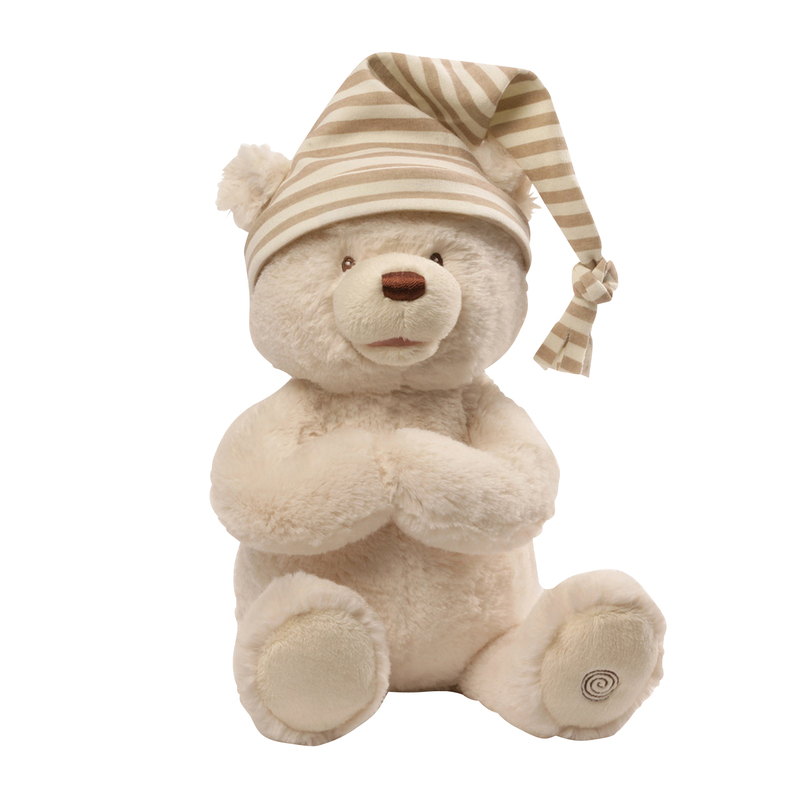 This adorable Goodnight Prayer Bear plays "Jesus Loves Me" and recites night time prayers. He bows his head and his mouth moves. The prayers he recites include: "Now I Lay Me Down to Sleep", "The Our Father", and "God Hear My Prayer". Includes 3 replacable AA batteries.